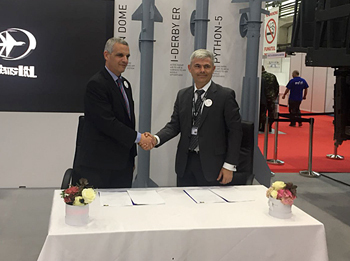 Israel's Rafael Advanced Defense Systems Ltd., a global leading defense company, has signed a teaming agreement with ROMAERO, Romania's largest government-controlled Aerospace& Defense Industry. The agreement was signed by ROMAERO CEO, Mr. Remus Vulpescu and Rafael's CEO, Major General (ret.) Yoav Har-Even. 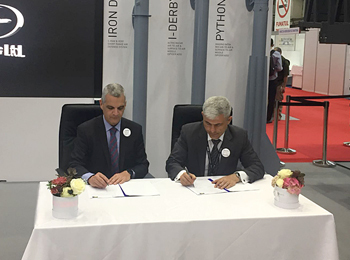 The signing ceremony took place on Wednesday (May 16, 2018) and was attended by dignitaries from Israel and Romania at BSDA in Bucharest. As part of their new partnership, Rafael and ROMAERO will consolidate a local partnership to facilitate local production and knowledge transfer geared towards various Romanian acquisition programs. EO, Precise Tactical Missiles - SPIKE – a family of electro-optical precise tactical missiles including its brand new SPIKE LR 2 5th generation missile. SPIKE Family missiles have been sold to 29 countries, with 30,000 missiles already supplied. Rafael has over 15 years of experience in Production Transfer Programs (PTP) worldwide. Its PTPs have been implemented successfully at more than 50 overseas companies located in the U.S, Canada, Germany, Spain, Italy, Poland and other countries. "Rafael's cutting edge solutions are in use throughout the world, as well as in Romania. We look forward to expanding our presence here and to working with our new partners at ROMAERO as our strategic partner to create new avenues of cooperation with local Romanian industry and suppliers. 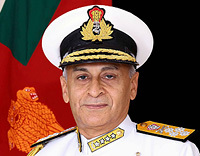 This is an essential aspect of our corporate policy and strategy – a dedication to strong, win-win partnerships and long-term collaboration to establish technological advancement, local production and capabilities." "Romania's increase in defense spending brings unprecedented opportunities for major investments in the defense industry. 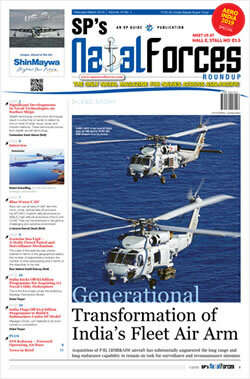 We are very excited to be teaming with Rafael, one of the world's most ground-breaking defense industries. Together we will be able to extend our reach and sales internationally, for state-of-the-art systems produced in Romania and suitable for any platform, to fulfill Romania's needs and requirements. We will work to provide high quality services and competitive pricing, as well as business development through marketing performance."